Balzer + Bray, 9780062398710, 32pp. Fun-loving, mischievous Fox is late for lunch, so he hops on his skateboard. Go, Fox, go! What is this winning trickster character doing, zooming over and under and around on his skateboard? His animal friends follow him home to find out—and get a big surprise! 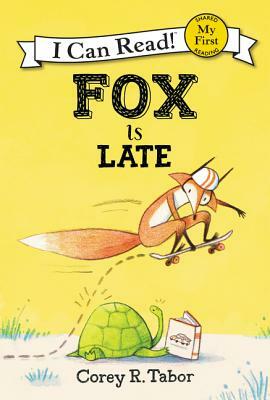 Fox Is Late is a My First I Can Read book, which means it’s perfect for shared reading with a child. Other Fox books include: Fox the Tiger, Fox and the Jumping Contest, and Fox and the Bike Ride.